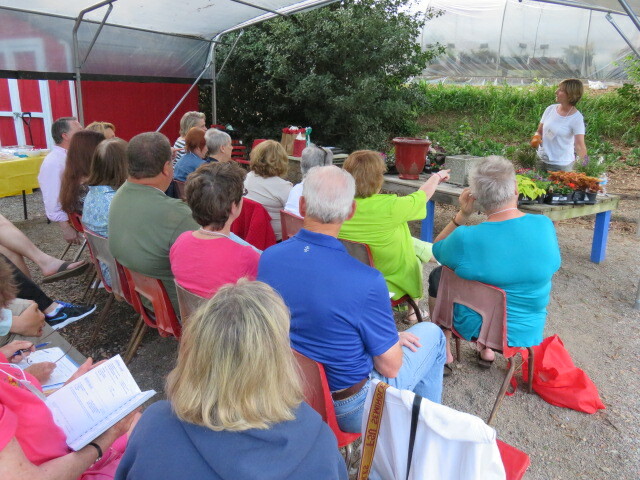 We invite your garden club, school, scout troop or any group interested in gardening to use our meeting space at the nursery. We can accommodate 30 with chairs and bench seating under our pavilion cover and smaller groups of 15 in our shade garden gathering area. We also offer custom presentations or workshops for your group on a variety of topics. We will work with you to plan a unique and entertaining event. Contact Nancy Harkins for availability 770-442-3901.